Easy to implement, intuitive to use. Diagrams, sophisticated and responsive. Like your app. MindFusion diagram library for iOS is a native Swift component that provides a powerful feature set that lets you render any type of flowchart, org chart, class diagram, hierarchy, tree and graph. With lean design and rich functionality, Diagramming for iOS is exactly what your mobile app needs. 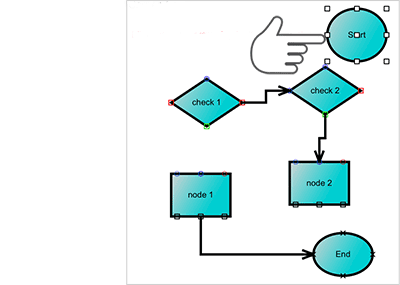 The vast set of predefined node shapes save you time and inspires you to create appealing flowcharts that users will read and comprehend at a glance. The numerous connector shapes complement nicely the style of your diagram. Container nodes and table nodes that allow cell spanning are powerful tools when you want to combine diagram nodes or render tabular data. Your app's users would definitely enjoy the numerous actions they could perform on any diagram built with the library and the seamless and timely response they will get. Diagram nodes can be moved, grouped or resized, tree branches expanded and collapsed, in-place text editing is also possible. 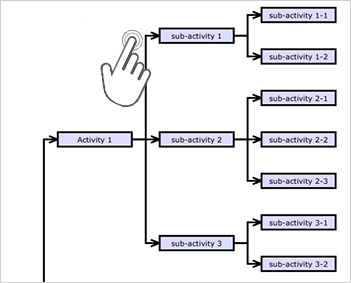 Diagramming for iOS fires events for every action the user is about to perform with prompt data that helps you decide whether to approve or cancel the action. Customizing diagram appearance is possible in various ways. Both links and nodes can have custom fill and border color. Font settings are available for each object that supports text. 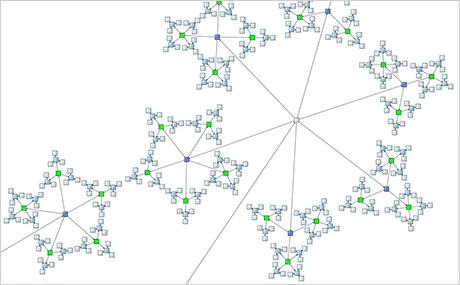 Images can be rendered inside any type of node, including table nodes. The head and base of each link are customizable with numerous shapes to choose from. Diagrams both large and small look much better when the proper automatic layout has been applied. 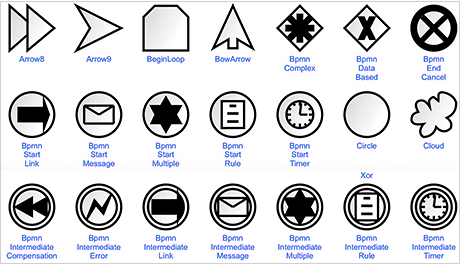 MindFusion diagram library offers a long list of layout algorithms that are evoked with a single method call. They expose numerous customization options that let you adjust with impressive precision the layout of a diagram to achieve exactly the desired outlook. The iOS diagram library comes with a wealth of learning materials and samples to help you get started quickly. Detailed documentation is provided for each API member. Various guides and tutorials provide plenty of explanations and code that demonstrate the most important features of the component. In addition, you have a set of samples that demonstrate the control in action and offer valuable programming code to study and reuse.